In this day and age almost all the clients insist on integrating Global Map Plug-ins into their web applications. Generally these jQuery Global Map plugins are particularly needed for integrating into the Contact Us page of a particular website however these jQuery Global Map Plugins are as well beneficial for various other functions that the clients require such as Navigation, GPS Tracking and lots more. To knob and deal with such situation we at WDJ are featuring the best seven jQuery Global Map Plug-ins in this post that will not merely ease the implementation of maps into your websites but as well will provide wide range of map functionalities for website admins and as well for all the end users interacting with them. In the very beginning the Google Map Application Programming Interface may seem to be scary and get confused on where to begin with. You possibly would like to display a very simple map that will provide you all the directions for locating the client address. It is obvious that you will not need an all dancing and singing interactive map with so many options than required. You somehow need a simpler method and thus this is when jQuery comes into picture rendering you top notch jQuery Global Map Plug-ins that are easy to use and render great website interactivity. 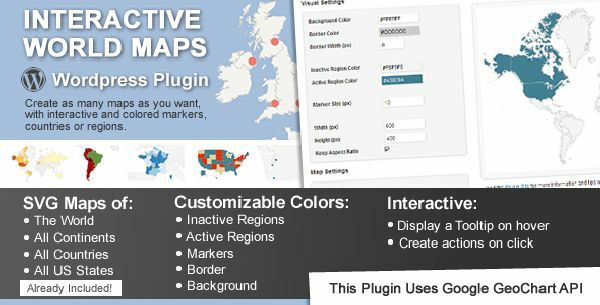 The jQuery Global Map Plug-ins mentioned below not merely provide an easy method for installing a map but they as well render the option to add the extra functionality in case you plan to choose one among them for your website. Most of the jQuery Global Map Plug-ins come with a wide range of documents of which a few are extensive and a few of them are non-existent thus make a choice for your Global Map Plug-in wisely. If you want to change the vector graphic map or the photo graphic map into some kind of a fancy interactive application that will be supported almost all the web browsers and works well on all kinds of touch devices and mobile devices then your hunt stops here as the Custom Interactive Map jQuery Plug-in is the one for you which is the only awesome Global Map plugins available with a unique feature set. This plug-in supports various map file formats such as SVG, PNG and JPG. This plugins has detailed documentation. There are limitless landmarks i.e. unlimited number of location with distinct pins and different actions. 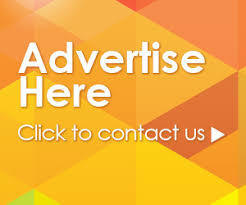 This plugins is optimized for touch devices such as Smartphones ad Tablets. There is support for multiple floors devoid of any limitation on the same. You can enjoy optimal experience across so many devices because of its responsive design. You can reference any location through its own particular URL. This plugins functions well with almost all the web browsers including Internet Explorer 8. You can easily integrate this plugins with WordPress by making use of HTML Snippets plugins or by iframe. It doesn’t require special plugins to work such as Flash player, so it works on different platforms including iPad and iPhone. Control each city individually (position, colors, URL…etc). Responsive; it can fit in its available space without the need to scroll horizontally while preserving its quality. Compatible with all major browsers including Google Chrome, Firefox IE9+, Safari and Opera. Easily integrated with Wordpress using either iframe or HTML Snippets plugins. 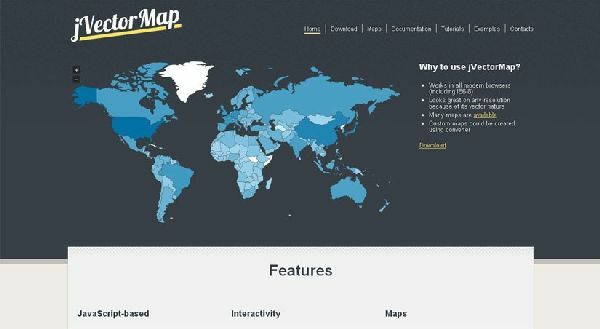 If you are looking for rendering vector maps through SVG for all the modern web browsers and VML for the rest then you must use the JQV Map jQuery plug-in as it is an advanced and modified version of the vector Map plug-in that comes with in-built maps of the world. You can add various borders, colors and include opacities via the different customization options this plug-in have to offer. This plug-in provides you a better method to transform all the list of regions into some kind of a stylish clickable map devoid of you having to make use of Adobe Flash or any other additional external plug-ins. 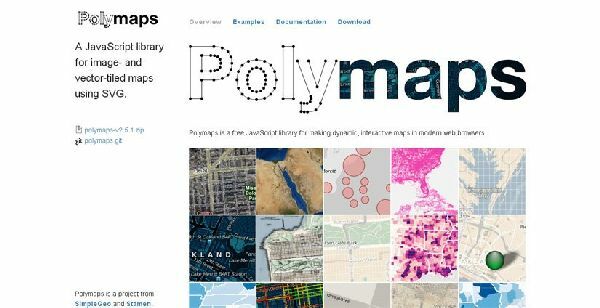 This is a free jQuery plug-in for creating dynamic and interactive maps that works well with the modern web browsers. You can achieve quick display of multi zoom for all the datasets in the maps and presents a wide range of visual presentations for lined vector data. If using this plug-in you can easily perform geo location related actions with its simple to use API. 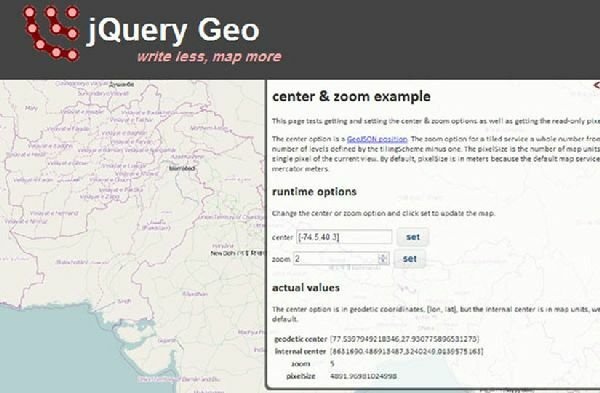 jQuery Geo makes use of various open source map servers for extracting the map date and is capable of handling direct user interaction with the map.